Few days back I posted a Basic Vanilla Cookie Dough recipe and made some cut-out star cookies. Remember? and I also promised to share some easy ideas using the dough, which is so versatile to make countless number of variations. 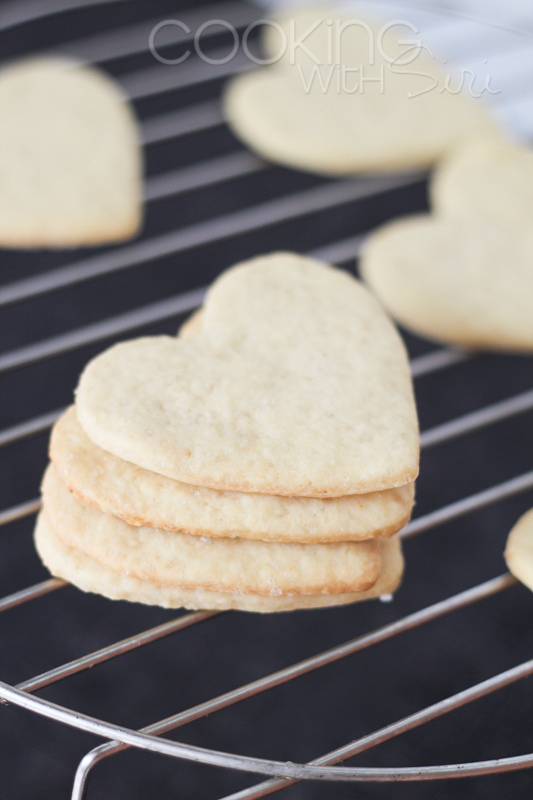 Today I am going to write about one such cookie recipe. All you need is a batch of basic cookie dough, some chocolate and butter. Voila! 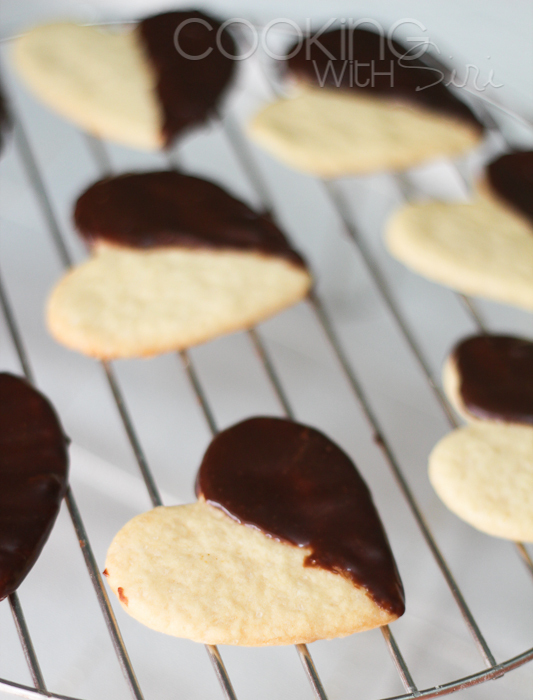 Black and White Heart Cookies are ready. 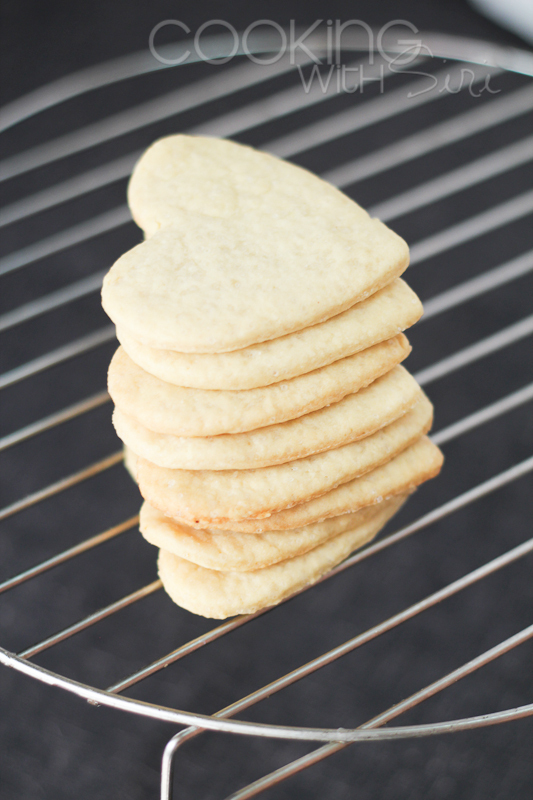 It is as simple as that - a cookie recipe that can be made in a jiffy. Store these in an air tight container and will stay fresh for at least 2-3 weeks. Given the fact how good these taste, I don't think these will last that long. ;-). out of oven, cooled and ready to be dipped in the chocolate.. Roll the cookie dough. Cut. adding a touch of chocolate to them..
2. On a lightly floured surface, roll out dough into a disc of 1/8- to 1/4-inch thickness. 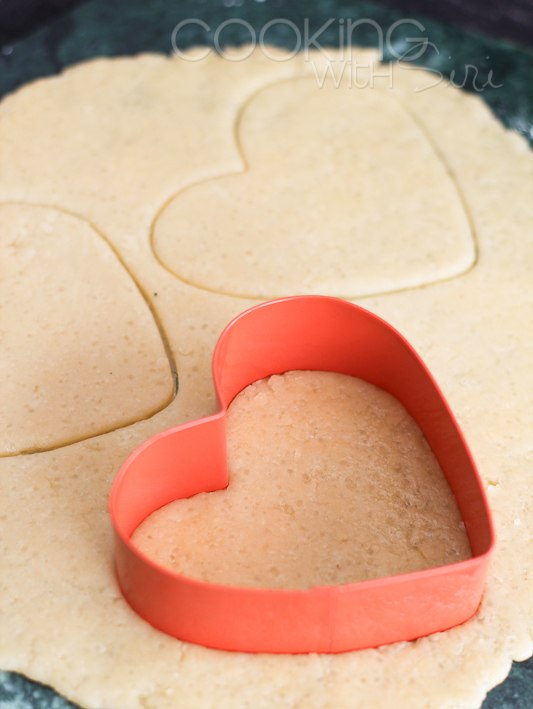 Using a heart shaped cookie cutter, cut out cookies and line them up on a parchment or wax paper. 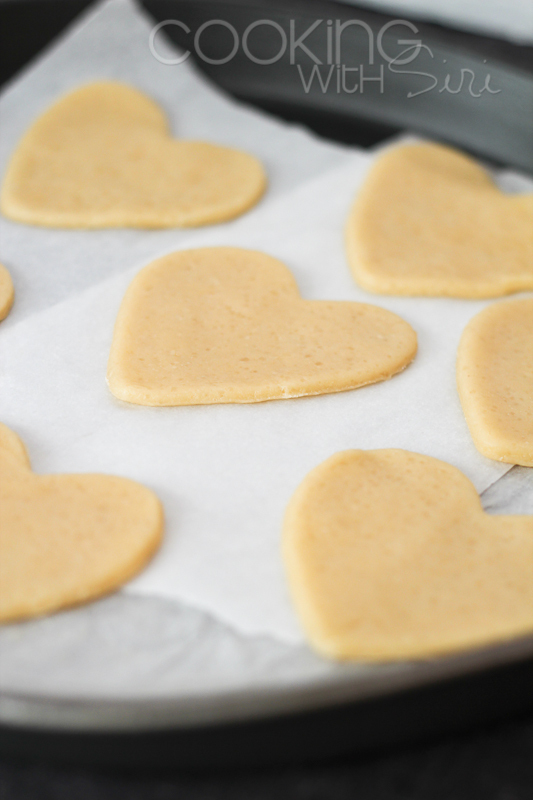 Refrigerate the cookies (before baking) for 15-20 mins until firm. 3. Bake for 8-12 minutes or until light golden brown. Keep an eye on the cookies after then 8-minute mark. Cool them on a wire wrack. 4. Meanwhile using a double boiler method, melt chocolate and butter in a heat-proof bowl. Dip one side of each cookie in melted chocolate. Return on to a wire rack and let stand at room temp until chocolate is firm. Store these in an air tight container and they will stay good atleast for 2 weeks. Enter and Win! - Share your favorite quick fix recipe for a chance to win a copy of Quick Fix Indian Cookbook by Ruta Kahate. Details are in this post. Giveaway ends on July 31st 2012. Black and white cookies are looks so gorgeous and beautiful..
Wow,, this looks just right to try out for my kids. 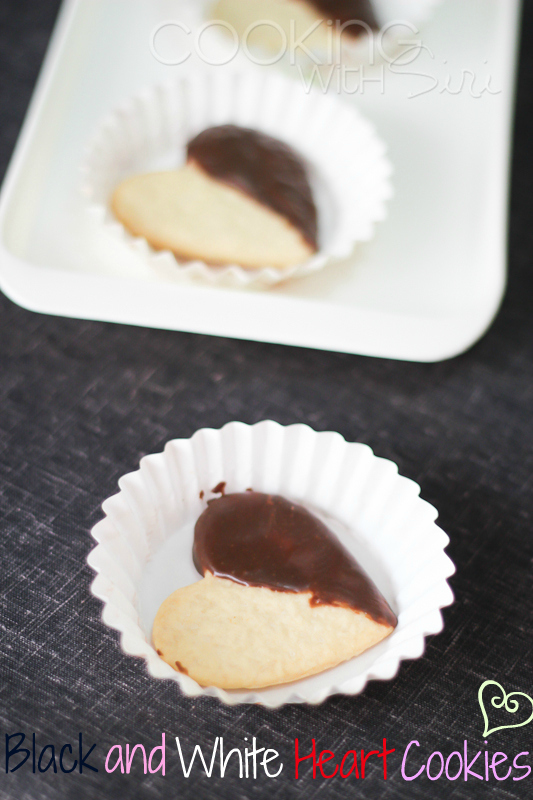 My kids love homemade cookies and they love chocolate! Wow these are something I can get my kid into as she wants to help. Such perfect cookies! Love your photos once again!